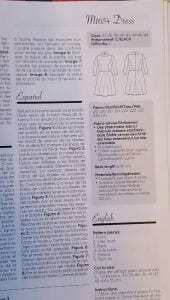 Its time I gave you an update on the Sewing News going on here at Dress Fabrics! Recently it’s very hard to get much sewing done – everything else seems to get in the way amazing all the admin work that goes with running this little business. But I persevere and always have a mental list in my head of a few things I want to make. This is usually based on what new fabrics have just arrived in or what new patterns have just been launched. 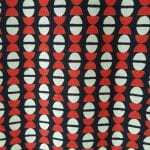 Dress Fabrics is delighted to announce that we have sourced a selection of fabric samples from a high end fashion label. These samples are fabric lengths of approximately 3 – 5 m. They are all in perfect condition but as they are of limited stock we can offer them to our customers at bargain prices. We stress that they are of excellent quality. As usual samples are available to check out the fabric before you commit to buy. We hope to be able to offer our customers some luxurious fabrics in this section that we don’t usually stock. Find them all here… more to come in the future. Gift Certificates are available for any amount. They can be used in store or online (we will issue a coupon code for online use). Use them for sewing classes, fabrics, haberdashery, sewing patterns & magazines. Its sale time again – our Black Friday / Cyber Monday Sale starting on Friday 25th November and will run until December 4th. There will be big discounts on lots of our winter stock including wools, corduroys etc..
Watch out for our newsletter later this week for more information.. If you are on facebook – we are running a competition to win one of our No Sew Wraps – get over there now and comment on the post (its pinned to the top of our page). I sewed a new dress over the past few weeks in between preparing for Cavan Craft Fair – which was a tremendous success by the way! I chose a new viscose jersey that we got in recently. This is a new colour scheme for me but I have to say I love it now. It will get lots of wear over the next while – all those dinners that are coming up 😉 (there’s lots of room for dessert in there too). 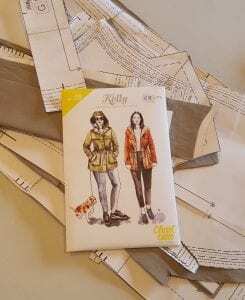 I used a pattern from the current edition of MyImage Magazine which is available in our shop now. This pattern has princess seams in the bodice, a centre back seam – which is good for eliminating some swayback issues and a flared skirt. I left off the turtleneck as I prefer an open neck – I scooped the neck out a bit and added a binding – turned it inside and topstitched it down. As I’m 5’9″ and the dress looked quite short in the magazine I added about 6 cm to the length, I cut some of this off when I was leveling off the hem and it’s just a perfect length on me now. 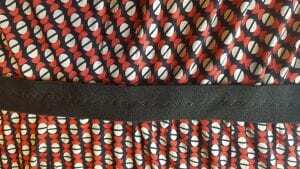 When I had the dress finished – the waist was pulling down with the weight of the fabric so I thought it needed a belt or something to hold it in. I could have added some clear elastic to the inside of the waistband to counteract this. There’s a bit on this tutorial on how to do it on a similar dress. Scroll down to near the bottom of the page. After looking through my scant collect of belts I decided to try a different method – I have this lovely plush elastic which is technically for underpants/boxer shorts but I wrapped a bit around my waist with the dres s on and decided this was the look I was after. I cut a piece just a bit shorter than my waistline, sewed it in a circle and attached it to the dress with a zigzag stitch. I maked the quarter points and matched these with the centre front/back and side seams and stretched to fit as I sewed. I’ve worn the dress twice in the last week and I’m really happy with how it turned out. There’s a little bit of blousing going on above the elastic but if I make it again I will make a size smaller in the bodice, however if this were made in a heavy jersey such as a Ponte di Roma this might not be necessary. 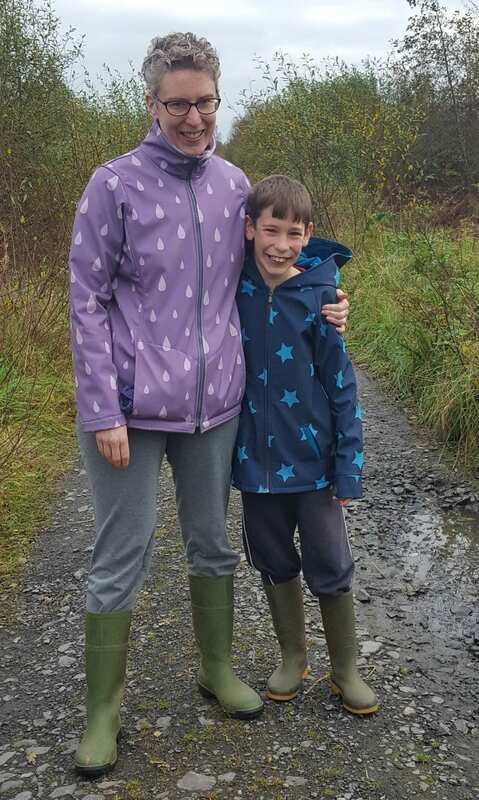 Before the dress I made Softshell Jackets for one of my boys and myself. This is a relatively new fabric – it’s got a water resistant outer and a fleece lining – it’s both snug, warm and dry. 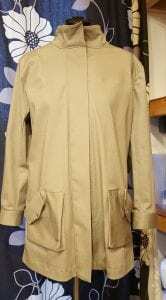 Its a perfect fabric for all round Irish weather. Both patterns come from Peekaboo pattern company – the kids Bridgeport Jacket and the ladies Cascade Jacket. This was my first experience of Peekaboo Patterns and I will definitely be making more. 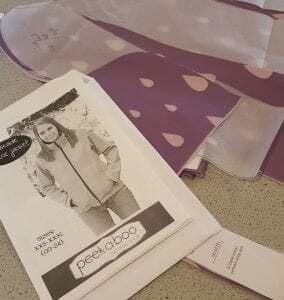 They are simple, well designed and easy to sew patterns that fit well. They have a great range of patterns for the whole family. 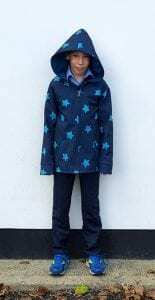 For the boys jacket I used our star print softshell in Teal and petrol cotton jersey to line the hood and pockets. This pattern is supposed to be for colour blocking – I didn’t want to do this with the softshell so I used the lining pattern included to cut out the fronts, backs and sleeves. The instructions are clear and it comes together very quickly. The pockets were the most time consuming part of the process and I thought about leaving them out, however they were a success first time round thanks again to the great instructions. 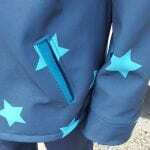 The softshell is easy to sew – but it does mark especially where it’s stitched, so keep pinning to the minimum and try not to have to rip out too many seams. 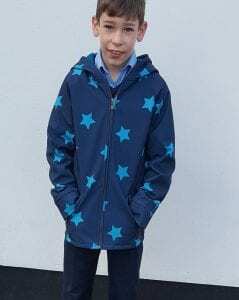 Here is Liam in his dream coat – he wears it every day!! 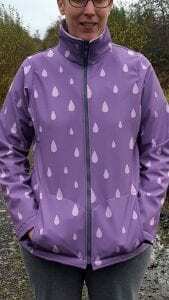 My Cascade jacket was as easy to make – I used the lilac raindrop softshell. You could make this in a few hours once you had it cut out. I have the Kelly Jacket nearly finished – It just needs snaps and I had thought I would leave out the drawstring from the waistline but I think it will look better with it. So it needs a another hour or two before its wearable. But since winter has arrived a light jacket is not a priority. I plan on making the hooded version in either Khaki or Navy stretch twill over christmas. 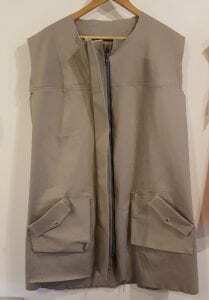 I’m going to put in a lining in it (as the original jacket is unlined) so I can wear it in colder weather.